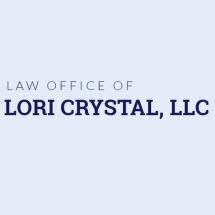 At The Law Offices of Lori Crystal, I work diligently and with empathy for each family law client from my Castle Rock, Colorado, practice. The law firm places a premium on listening carefully and with compassion to my clients in order that I am keenly aware of their very important goals. My nearly 30 years of family law practice allows me to offer vast experience and tailored strategies to my clients so they can best achieve the results they desire. In addition to helping my divorcing clients achieve their objectives in a calming and thoughtful manner, my law firm extends my legal representation where these cases sometimes lead, including the instances where domestic violence has occurred and a safe resolution is paramount. My criminal law practice in Douglas, Arapahoe and other nearby counties is diverse and includes defending allegations of driving under the influence and related charges in addition to issues of domestic violence. I represent people, not corporations. I am very careful in recognizing that any bill for my legal work will be paid from a family budget, not a corporate legal department. As such, busywork simply does not exist in my law firm. I endeavor to aggressively work on what counts for the client's case without wasting valuable client resources on the unnecessary. The Law Offices of Lori Crystal gratefully accepts credit cards from those clients who find them most convenient.